We needed to find couple of concepts fast to present to an investor. I was playing a few different manager games at the time and we thought that manager game would be one possibility. Idea was to publish the game to Habbo hotel so we wanted to use a theme that suited both boys and girls. Our friend Ari gave us an idea to use pets as a theme and we liked it. Basic idea behind the concept is to manage a team of pets. Pets have three different age phases. When they are puppies, player can train them, when they are adults, they can participate in competitions and when they are seniors they can breed with other pets to get new puppies. It has taken about two years to complete the game. During that time almost everything has been rewritten or changed. Even tools that we use to create the game has been changed. Basic idea behind the concept is still there, but the whole game experience is totally different. Latest big change came at the beginning of this year when Pet Shows was accepted as AppCampus project. We added mini-games to the concept that are used to train the pets and to compete with other players teams. Few days ago we got the news that AppCampus review team has accepted our release candidate and we can publish the game when we see fit. This is a huge step and allows us to continue to the next phase. Now we can start gathering feedback from the players. We will carefully go through the feedback and develop game further to give best possible experience for the players. It is hard to describe how exciting it is when you are just about to get real information from the real customers and to learn what they think about the game. All the feedback is good. If players don't like the game, we try to find out why and make the game better. If players like the game, then we are happy and continue to bring new features for them to enjoy. What is it about? Pet Shows is most probably different than you have used to see with pet themed games. 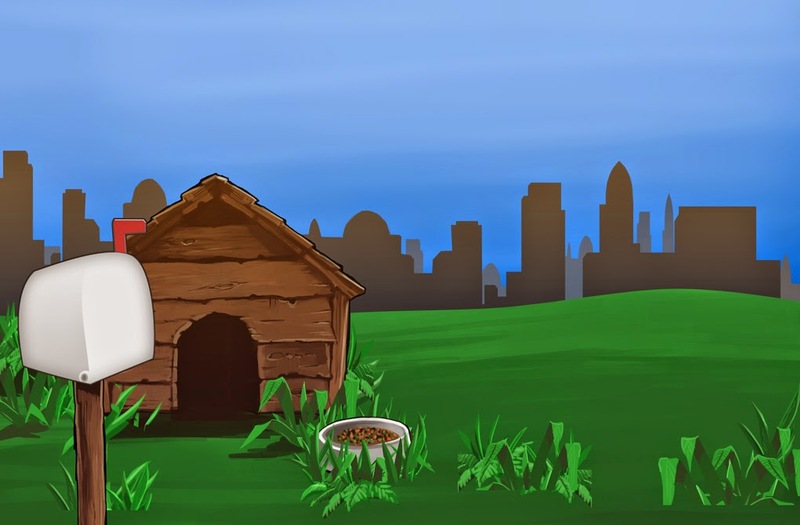 The game has over 300 different pet profiles to collect, 5 different mini-games to attend and possibility to compete against other player teams from all over the world. It is about being best pet trainer in town. There is no payment wall and everything in the game can be achieved without using real money. Real money is used only to buy in game currency that can be used to help player to progress faster. 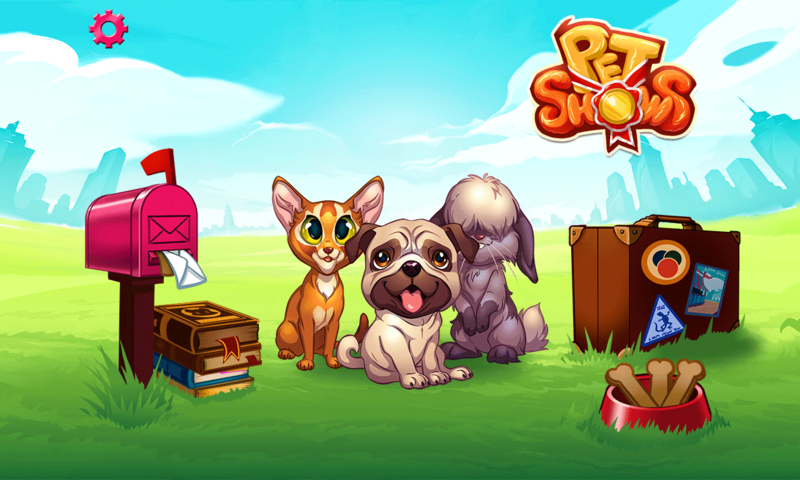 Pet Shows is now available in Windows Phone store. Check it out. Our blog has been quiet for a while now. It’s about time we gave you a quick update what’s happening inside Seepia’s offices. We moved into a new office a couple weeks ago. Nothing terribly exciting, we are still in the same “business park” and about 2 minutes’ walk away from the old one. Pros? You no longer need your little magic access token to get back to your desk after a visit to the loo or the coffee machine. Cons? We are spread across three different rooms now which obviously is not the end of the world but it does make communication a bit more difficult. Development wise, we have all been working hard to get Pet Shows ready for release. The game is starting to shape up. We have made some pretty major changes in the past months but it has definitely been worth the effort. The game looks better than anything we’ve released before and the reaction from people we have shown the game to has been overwhelmingly positive. We will post a more detailed update about Pet Shows soon. 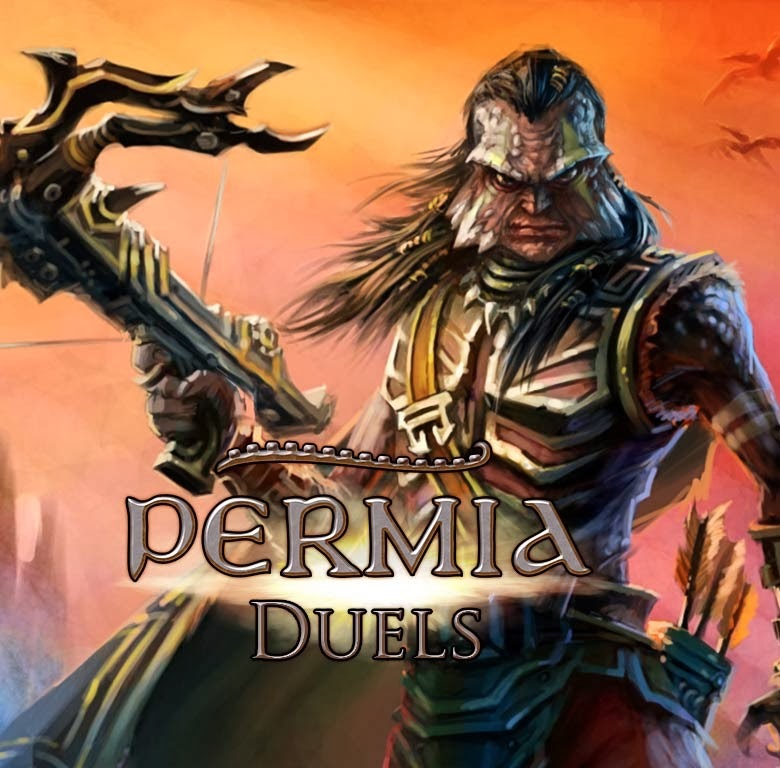 We also recently released a Windows 8.1 version of Permia – Duels. The world outside mobile phones is still somewhat uncharted territory for us so it will be interesting to see how things develop on that front. All in all, "busy" has once again been the operative word for us. I won't promise you more frequent blog updates but I do promise that you will hear more about Pet Shows soon. 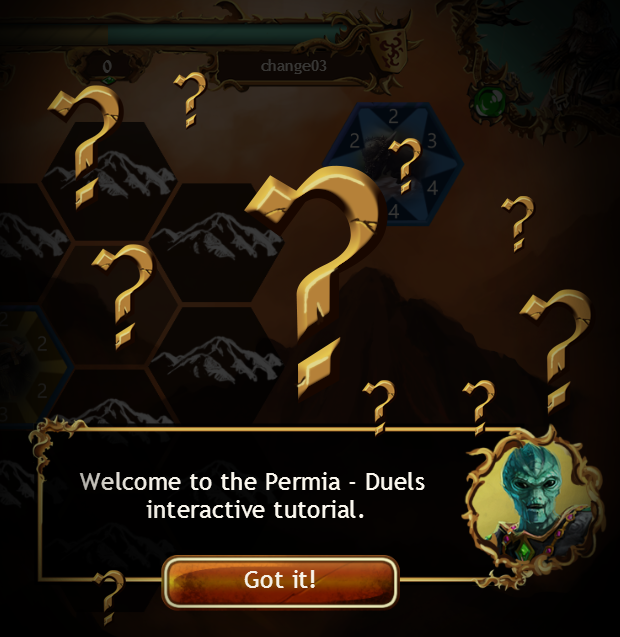 When Permia - Duels was first released, we did not have time to make a proper interactive tutorial for the game. Instead we had a three-slide slideshow explaining the basics, which was shown to the players before the first game. Later the beginning was improved slightly by forcing the first three games against a really easy computer opponent and showing only one slide before each game. Despite the slight changes, we did not have a proper tutorial until now. As we constantly have more things to do than resources to do them, prioritizing is essential. Originally the tutorial was not among the top priorities and was thus neglected this long. But lot of the feedback we received indicated that the missing tutorial was a major problem for the game. 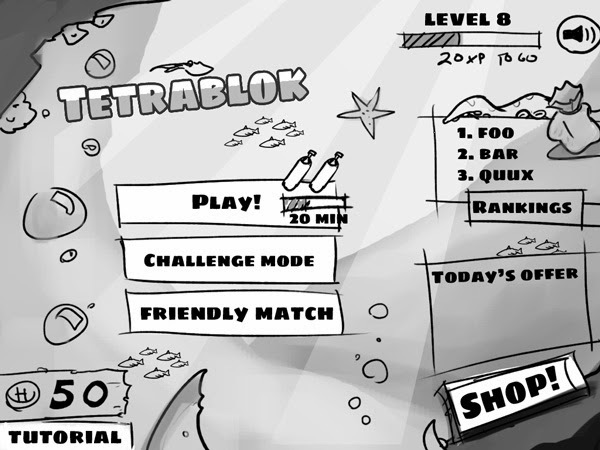 A typical player feedback would say that the game felt much more complicated at the beginning than it actually is due the missing tutorial. Many of the game business veterans we have talked, have emphasized the importance of a good tutorial. Even publishers we talked named the missing tutorial as a major flaw in the game. So we felt a bit stupid for neglecting such an important issue for so long and decided to fix the issue. The interactive tutorial explaining the basic game play was added in the last weeks update. The tutorial is by no means complete yet, as it only explains the basic game. 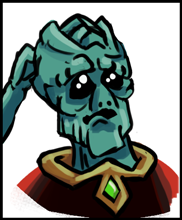 We still have work to do to properly explain the rest of the game, namely the card development system. But back to the issue, what is the great mystery of the tutorial then? When we make changes and add features to the game, we try to anticipate the effects and then measure if we were successful on improving the game or not through data and feedback. In the tutorial case the assumption was clear: All the signs indicated that the first contact with the game felt too complex for the players. Many did not clearly understand what to do at the beginning, got frustrated and quit playing due to that. Each such player could have potentially liked the game and continued playing if the beginning would have been more welcoming. So we should see an increase on the percentage of new players who continue playing past the couple of first games after adding the tutorial. Or a drop, if the tutorial was poor and players get frustrated to it. Now we have the data from the first week of having the new tutorial. So, did we see an increase or drop? The answer is neither and that is the mystery of the tutorial. The numbers are almost exactly similar before and after the adding the tutorial. At the moment we are more than slightly surprised by the result. We were all definitely expecting an effect, some smaller some larger, but at least something. So what can we actually learn from this? The lesson is definitely not that tutorials are unimportant. But it might be that the importance of a tutorial is somewhat dependent on the type of the game in question. 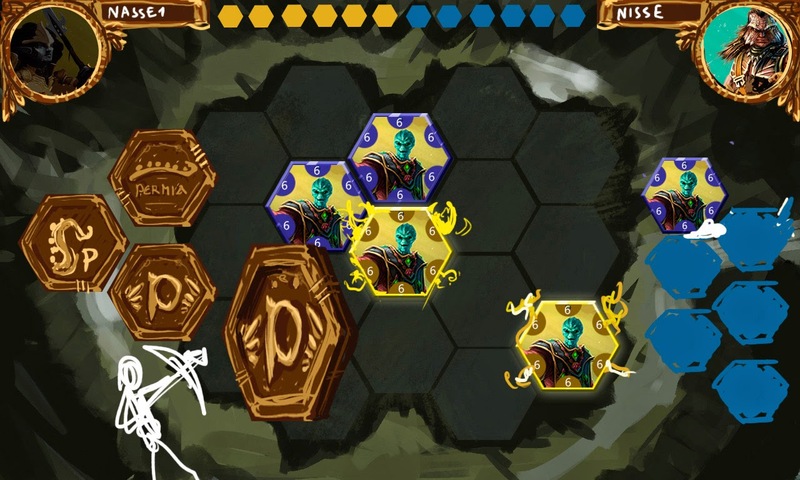 Permia - Duels is a strategic collectible card game, which has a bit of a niche appeal. Maybe making the game more easily approachable is still not enough to convince players who don't like the genre to begin with, while those that do are willing to learn the game anyway with or without the tutorial. The results might be completely different for a different game though. In a broader concept, this should remind us, that each game is unique and a common wisdom that is true for most might not automatically hold for this particular case. Of course making the tutorial has not been a wasted effort. It should make it easier for new players to get in the game make the overall player experience better. We will also be adding the missing tutorial parts in the future and believe that despite the initial numbers, having a proper tutorial will benefit the game in the long run. But all that said we are still quite puzzled by the lack of any measurable effect of adding the tutorial. So if you have an insight to the mystery of the tutorial, please let us know! Today we reached our first #1 position in Windows Phone store in the card games category in Brazil. This is a good moment to look back at how we got here. The result was quite similar. People liked the concept but were not ready to take the risk with it. One of our last hopes for the product was AppCampus. They had started the program where they give grants for promising projects with a 6-month exclusivity period. They had an event here in Lappeenranta where they presented the program to us. We sent the application and started waiting for the results. After a couple of weeks they granted 20k€ for our project. That was not enough for us to really deliver the first idea of the concept, but it definitely helped us. It was part of the bigger picture where we managed to get a Tekes project approved as well. We did not start immediately with the design milestone. The reason was that we really did not have enough resources to continue with the original concept and our hands were full with the other projects. Almost half a year passed before we were ready to continue with the program. One of the close colleagues came up with an new idea for more simple card game that might be more feasible to do with our resources. We created a design plan based on this new concept for AppCampus and they approved it. We were in a hurry because financially it was really tight situation at the time. In 3-4 months we passed the first release candidate to the AppCampus quality team and at the time they were not satisfied with it. There was one big feature missing and the quality of the game was not good enough. That was the first wake up call to really take Windows Phone environment seriously. We continued to work with the missing feature and decided to apply for the AppCademy (AppCampus acceleration program). We were really sceptical about the acceleration program at first. One month away from home listening to lectures and coaching. Participation means that product would be on hold during that time. However, from the first day we were satisfied with the decision to join the program. We were given top level coaching in all areas from production to branding, marketing and user experience. The time spent there helped us go towards better quality than we would have been able to do without it. We don't have plenty of resources to promote our app. I think it is a same situation with most of the independent teams at start. Today it is crucial to get visibility for your app to have any possibility to really succeed in the market. 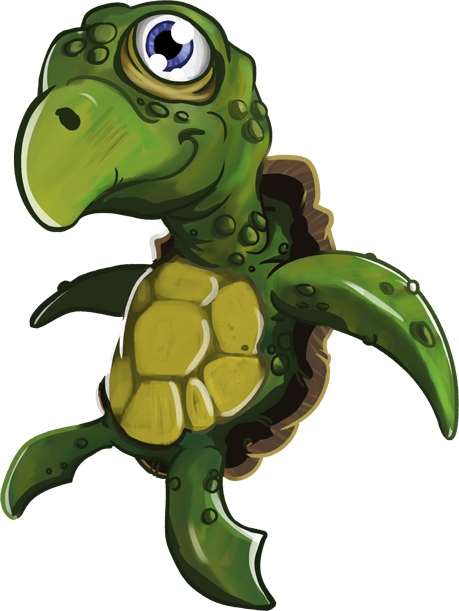 After we released our game at December 2013 in Windows Phone store we really did not know what to expect. We knew that we have possibility to get some promotion from Microsoft and Nokia if we have good ratings. But the amount of support we have had from AppCampus program has been amazing. First month went almost on our own. It was Christmas time and we were little too late to be part of the Christmas promotions. We used that time well and noticed that downloads from Russia were progressing well without any promotion. We discussed with our Nokia contact about possibility to have local campaign in Russia that we will support by localizing the game. Our Nokia contact was successful and the result was whole week featured in Russia. At the same week we were featured all around the word and it was really good campaign for us. We still have most downloads from the Russia and they are really important market for us. After that we have worked closely with our Nokia contact to plan different campaigns and we have supported those campaigns with game content whenever it has been possible. We have updated the game often and have developed it further. If we think about the support from AppCampus. The first thing is the grant. It can be something from 20k€ to 70k€. Money is always welcome and helps. The real difference comes from the other forms of support. They really push for the quality and help us developers to get good ratings with better quality apps. AppCademy is excellent acceleration program and is valued much more than any grant they give. And after those they put so much effort to really help us to promote our apps in store. That is something that is hard to buy with the money. I can imagine that without them Permia - Duels would not have over 260 000 downloads today and our #1 store position in Brazil. Big thanks to the AppCampus staff. You have been a great asset on our journey to app developer. You have shown the possibilities that are in Windows Phone environment and we are really happy to be part of the program. During the first two months Permia - Duels has been online, we have already done a lot of updates for the game and have much more planned or under development right now. In this post I will shed some light on what's going on with the updates. This far we have concentrated mostly on fixing bugs and improving the technical side to work well. We had some hiccups at the beginning where increased number of players caused the service to slow down and get "network error" notifications. Another major issue which has been fixed in the latest release is the freezing of the shop screen, which prevented some players from making purchases. Several smaller issues have also been fixed and we will continue the technical optimization of the game. If you encounter a problem, please let us know so we can fix it! A Facebook page for Permia - Duels has just been opened. In addition to having the game related information, it's a place to go for discussions about Permia - Duels with other players or us. The ranking system has had some major tweaks. The starting player has a disadvantage and statistically wins less often that the second player. To balance this out, we have biased the ranking system to favor the starting player. The biasing formula is based on a real game data and is thus able to efficiently balance out the effect of player order. Another recent change is that now new players start with score 0. The old system, which started from 15000, resulted for new players being matched against more experienced from the start. As a result the difficulty curve should now be more reasonable for new players. We want to allow players to always play without too much waiting. For this reason the match making will pit one against a computer opponent, if a suitable human player is not found in reasonable time. The decks of the computer opponents are based on decks of human players of similar level. We have already done lot to balance the computer players to offer a suitable challenge for players of different levels. This is an ongoing task and we are still finding new ways to do it better. A big news for us was the recent announcement from Habbo Hotel that they are going to close their game center, in which Permia - Duels is available. In order to allow Habbo players to retain their game progress and continue playing, we have implemented the possibility to link the Habbo accounts to a Seepia account. When the Habbo game center closes, we will open a web client which can be used to play the game using the Seepia account credentials. In future we will allow also Windows Phone players to link their game accounts, so that the game can be played in different platforms alternately. For the additional platforms we are planning to release a Windows 8.1 version of Permia - Duels in near future. Android and iOS versions are also planned eventually. The game was originally released only in English, but currently we have localization for total of 13 languages. We are very grateful for any reports of language mistakes in the localizations. We are constantly developing the game and will be releasing new features regularly. We also want to listen closely the feedback we get from the players. In the last update we added the possibility to buy unlimited vigour as a feature desired in the feedback we received. Related to that we have had feedback wishing for more ways to speed up the upgrade process of units. That is something we are considering at the moment, but have not yet definite plans. We want to make the game experience more rewarding for the active players. As a part of that, we are planning to decrease the season length and slightly increase the comparable season rewards. Additionally, we will be adding a daily rewards system, which will allow players to gain special rewards for the first victory each day, including Qual rewards. At the moment we are preparing a major UI update for the deck editor. It will be possible to get a detailed view for each unit including the currently missing unit information. These will include full sized images as well as flavour texts to properly link the units to world of Permia. Another wished for upgrade we are planning to add are "golden directions", which will provide a way to boost a single direction of an unit. We of course have lot of plans for developing the game after the next few updates. One thing which needs some love is the tutorial, which we plan on upgrading piece by piece to be more interactive than now. Additional content, such as single player mode, new units, new special powers, ability to see other players information and player clans are also high on the list of things to add to the game. This is by no means a complete list of updates we will be doing in future. Some may be left out, some new will emerge, but it gives a bit of idea we are planning to do next. If you have a great idea how to make the game better, please let us know! The last two years have been all about learning. Now we have encountered yet another possibility to learn when we launched our collectible card game Permia - Duels in Windows Phone store at 14 Dec 2013. After about one and a half months and almost 100 000 downloads later we have had first few small ideas what it means to publish a game in a mobile market place. Earlier we only had experience of releasing game in a small social network Habbo hotel and it has been very much different experience. First of all, we cannot update the game currently whenever we want to. We have not yet implemented the feature that allows us to update the content for the game directly without going through store certification. That is something we definitely want to do in the future. Already we had an issue where Lumia black update changed the way some configuration for the viewport of the game were defined and our game was broken for all the high end devices with HD resolution. You can imagine how grateful I am for Microsoft Store certification team that handled the update in two days instead of one week just before our promotion all over the world started. All the previous review periods were closer to that one week. Even if the certification goes as fast every time in the future it is still at least couple of days after we have the new version ready before the players can use it. All the data we gather from the game and feedback that we follow have helped us to react to the problems much quicker than it would have been possible without these. We have found couple of bottlenecks in our server code after the release and both times it has been the same. First active user tells that something does not work like it should. Then our ratings start to decrease. These are enough reason to start studying what is the problem. Then simple analytics that we gather from the game pinpoints the place where the problem lies. Both times we were able to fix the bottlenecks in one day after they first started to encounter. For the team that is as small as us I feel that it is amazing to react that fast. These seem to have power of the god. When we did not ask our players to rate us at all, we mostly got bad ratings. It seems that people remember to tell if they don't like the game or the game does not work much more often than if they like the game and we don't remind them to do that. Permia - Duels average rating was less than 4 before we implementeda "rate us" dialog in the game. We don't want to interrupt the player, but it is crucial for our game to have good ratings. Without good ratings, we don't get promotion from Microsoft. Without good ratings, players do not download the game and because our game is multiplayer game, our game cannot live without plenty of players. Everything starts from ratings. How cruel that is when you are not going to buy those ratings for you. We don't want to buy ratings so we decided to add the dialog. 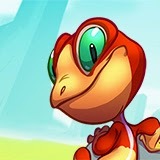 After we had the rate us dialog in the game our ratings have gone up to 4.4 average and still growing. We have had much more ratings than before and it has helped us to get promotion and more importantly the players as well. Yet another story is that only good rating is five stars. All the other will weight ratings in wrong direction. Average 4.3 is minimum that is expected from us. We had an excellent review from WPCentral. We advertised that in our Facebook and Twitter accounts. One day after that we got an excellent review from WP player ratings. We advertised that as well in our Facebook account. I was quite amazed how big difference was with the impact those messages had. The player review was seen by six times more people than the WPCentral one. With this case it seems that people are more interested about what other people say than what media says. The article in WPCentral reminded us about importance of the social media. We really have not been active enough to promote our social media sites. We have had over 1 000 000 players playing our games and we have little over 160 people that likes our Facebook page and little less than 100 people who follows our Twitter. We will test with next update if we can get little more players to follow us because social media is currently best way to notify our players what is happening. There is one more topic I want to touch on briefly before going into specific UI issues. Are game UIs different from “regular UIs”, i.e. user interfaces in non-game, productivity or entertainment applications? I gave a short lecture on game UIs a while back and this was something I brought up then. It is my firm belief that when designing game UIs you can, occasionally, put aesthetics before function. Emphasis on the word occasionally. Your UI should be designed to, first and foremost, be functional. Frustrating but pretty UIs are just – here comes the pun – pretty frustrating. It comes down to, or so I believe, to psychology. In games, you occasionally expect fireworks and you are more likely to forgive slight usability issues in favour of aesthetically pleasing presentation. Microsoft Excel (okay, pre-ribbon Excel anyway) is a great tool with a pretty slick UI and yet most people would agree that they expect something different from games. In a game, I can often justify placing a button in a sub-optimal position to make room for pretty pictures. Often, you will choose to display numerical attributes in non-numeric form (e.g. progress bar, pie chart) just because it looks prettier. Occasionally the graphical presentation adds value and makes the attribute easier to comprehend. Sometimes it just looks better. I could go on. The second point, which I’ve strangely decided to elaborate on last, is probably the most self-evident. Many games require fast reflexes and in-a-fraction-of-a-second decision making. Please, allow me to put aside the whole topic of game controllers. Also allow me to ignore the very extremes of fast-pacedness – FPSs and the likes. Controlling your character in FPS games is more about the controller than the UI. Ditto for most games where shortcut keys are the primary interaction method. Game controllers are a fascinating topic but I will stick to UIs for now. Now that I have conveniently (if somewhat cravenly) narrowed down the gamut of game UIs to consider, we can pit games against productivity apps. If I am permitted to rule out a few games more, let’s assume there is a time constraint of some type embedded in the game mechanics. In Seepia Games’ games, the constraint is usually time per turn. The time constraint has a number of functions: it forces the player to work his brain more intensely, it can be used to control the maximum duration of a match and, perhaps most importantly, it protects the opposing player from dissatisfactory ennui. This sort of artificial time constraint rarely exists in the realm of productivity apps. High pass-through rate (completion of a form, process etc.) is desirable but I cannot think of many scenarios where it would make sense to impose a time limit on the user. Such limit could even backfire causing stress and lowering productivity. The question then becomes, are games and productivity apps different after all in this sense? Prompt, precise response is the desired user interaction either way. Games simply add a “sweat factor” – the time limit. Therefore, I am happy to accept that the chasm between the two is not that wide after all. So, I posit that a good game UI looks good but still follows the usual principles of good UX design: it works with the user, not against him; it stays out of the user’s way and lets the user focus on the fun parts; and finally, it excites the senses and tingles the bits of your brain that appreciate aesthetics. There is one more aspect to this I have not discussed now but to which I may return in future – learning curve. A topic for future post, perhaps.